Mules… There are lots of differences between a horse and a mule but one thing for sure is a mule will not tolerate an ill fitting saddle very long. When your mule has had it with the poor fitting saddle, you can trust your mule to darn sure let you know about it. Generally the outcome is not good! 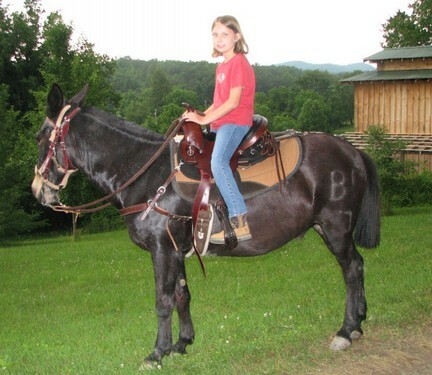 Mule saddles are different than gaited horse saddles or Quarter Horse saddles. When people call Crest Ridge Saddlery concerning a mule saddle, it has been my experience that the first question I am asked is “What makes a mule saddle different than a Quarter Horse saddle." I should ask in return, “which Quarter Horse saddle are you talking about” because there are no standard measurements. But let me make it simple, the answer is “angle.” Depending on the individual mule, most Quarter Horse saddles are too wide sprung on the front for a mule at the shoulder. So when you place a Quarter Horse saddle on the mule, it may feel like it fits at the top known as the gullet (where the Conchos are on the front of the saddle that hold the front jockey in place). Then if you slide your hand down between the mule and saddle from the gullet to the breast collar ring you will feel the contact leaving, because it is at this point the tree starts to pull away from the mule slightly. By the time the rider gets in the saddle all the weight is on the top of that mule’s wither, because there is absolutely no support in the shoulder. The second difference generally is pitch. 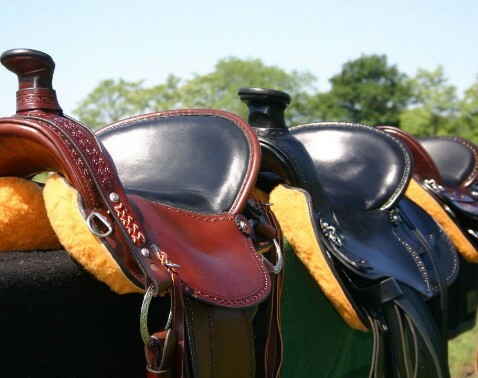 A horse saddle will typically have more pitch when it leaves the twist of the saddle tree. The twist of the saddle tree is the point of the tree that is leaving the wither area and starts the rib cage. Mules are typically (but not always) flatter then a horse through the ribcage. Sometimes a mule can have a back like his sire, the Donkey and have a ridge or roach back--this is a spine that is unprotected by muscle and the ribcage tends to fall away quickly from the spine. The third major difference is the amount of “rock” or “rocker” (either being correct), meaning the amount of bow or bend in the tree from front to back. Mules typically need little or no rock in a tree and typically there is no pocket behind the withers on a mule like some horses have. To sum it up in a short statement each mule is an individual and being a hybrid between two species helps to add to the unique differences. 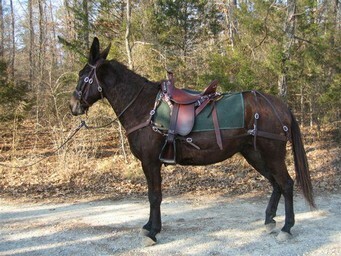 This is why we request measurements and photographs (instructions found on our “How to Measure” page) of the animal so that we can recommend the appropriate tree and mule saddle for your individual mule.